The Villaitana Poniente course, with 18 holes, a par of 62, and 3,674 metres in length, lies on the slope of a beautiful valley of Mediterranean pines, with views of the sea and the mountains. The way golf legend Jack Nicklaus designed it, makes it a great golfing experience for players of all levels regardless of their handicap. 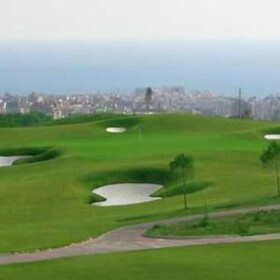 This is a shorter round than Villaitana’s ‘Levante’ championship course, but is no less exciting. 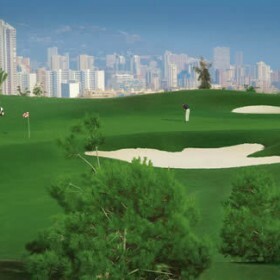 The Poniente course requires a greater mastery of the short irons. Also, it is very demanding on players with a low handicap, although all of the holes offer alternatives to players with medium and high handicaps. 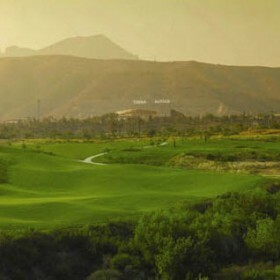 The Villaitana Levante championship course has been designed in American style by golf legend Jack Nicklaus. With its wide fairways, its exquisitely shaped greens, and its 6,576 metres, you will enjoy the fantastic views over the Mediterranean and Finestrat mountain range with every step you take. The area is completely unspoilt so you will be able to enjoy your game in completely natural surroundings, with views of the sea and the mountains in the spectacular setting of the Levantine Mediterranean mountain range.